You are currently browsing the category archive for the ‘Finding Zealots’ category. We’re looking for a spring intern! Are You That One Intern We’re Looking For? You’re looking for an opportunity to gain school credit? You are seeking to get real-world experience? You’re ready to launch your career? You had an advertising campaigns class and really liked it? Mom or Dad said you have to get out of the house and do something? Those are all nice reasons. But those are not us. We’re looking for one intern. That one. We’re about creating more zealots for our clients. We’re zealots for our clients. We’re zealots about our work. A zealot. A zealot for inventing, creating, solving, satisfying and doing. Our interns are on the firing line. No hiding here. No auditing our program. You’re in the game. Real work. Real involvement with clients. Real problems to solve. Real opportunity. We’re looking, too. For that one. Passionate. Intelligent. Witty. Teammate. Winner. A Zealot for Life. Our internship is not a “give back to the community” program. We’re looking for the one individual who is bursting to get in the game, start practicing their craft and change the way marketing happens. Our interns get to do a lot of work. It usually results in a real job. Because they will have proven they can do real work. Guest Relations Marketing is almost eight years old. And our track record with interns is pretty stellar. Two we’ve hired permanently. Two have really awesome jobs. The partners of Guest Relations established an intern program at their previous agency. The program became so renowned that other agencies called to interview and hire our interns. Nothing fancy here. Just one great opportunity. For one great intern. Are you the one? Tell us why. Submit your resume, cover letter, writing samples and what you are a zealot for. Email April: avoris@guestrelationsmarketing.com. 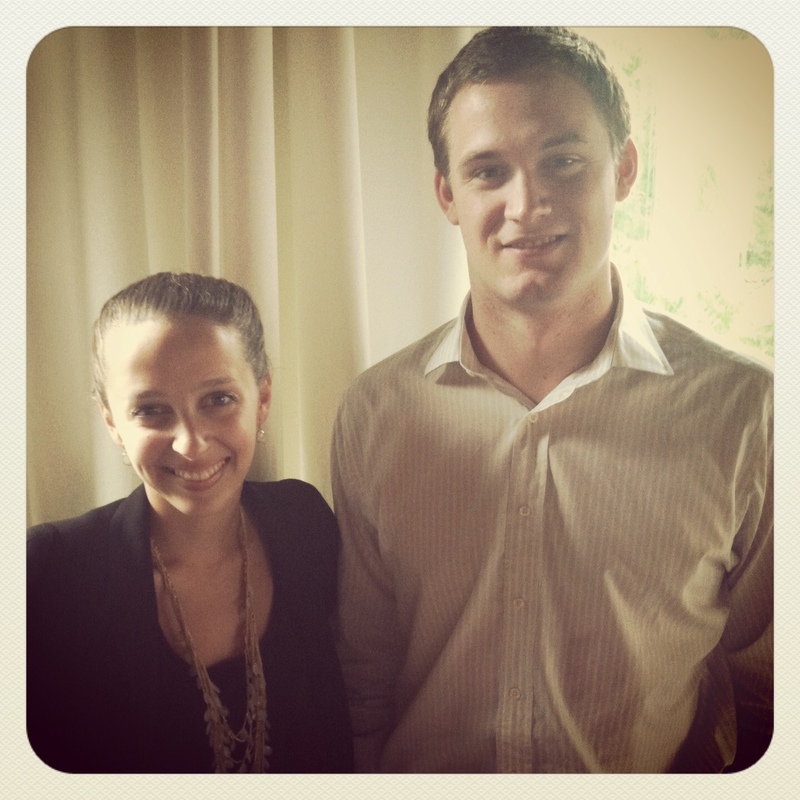 We’ve made two new additions to the Guest Relations Marketing family. What do we love most about summertime? Interns. And we’ve got some good ones on our hands. Victoria Skinner, our Account Management intern, is a rising Senior at the University of Georgia, with a major in Advertising and a minor in French. Victoria was also a student in the New Media Institute at UGA, where she obtained a New Media certificate and most of her web skills. So what is Victoria a Zealot for? Disney! Hey, who isn’t? After obtaining some experience in Atlanta, Victoria hopes to work for Disney, or continue on with an agency Account Management position that allows her to travel internationally. Alan Carroll, our Account Planning intern, is a recent UGA grad with a passion for books and all things sports. For him, there is nothing more exciting than the thrill of a big win by the Georgia Bulldogs or the intrigue of exploring the worlds of George R.R. Martin, Clive Cussler, and Tom Clancy. He also enjoys playing the piano and gaming in his spare time. When he isn’t devouring some new sci-fi/fantasy novel or having a few drinks with friends on a Saturday afternoon at Turner Field, Alan is busy advancing his education under the tutelage of Mike Tyre. Having only received his bachelor’s degrees in advertising and psychology two months ago, Alan just now beginning to explore what directions his career might go in. Both Alan and Victoria hope to use their time here at Guest Relations Marketing to continue to grow in an industry that is constantly changing and expanding. With Hurricane Sandy devastating the Northeast last week, I find myself clicking through photo albums of the destruction, curious to catch a glimpse of what these people are going through. Studying the photos, I can’t help but think of my experience living in Tuscaloosa last year when a massive tornado leveled so much of my beloved town. When I think about the weeks – and months – after the storm, the destruction isn’t the only thing that stands out in my mind. I remember the groups, individuals, and brands that swarmed the city to help those in-need. Imagine being without electricity – totally disconnected – during a time of destruction. You’re unable to turn on the TV and check the status of your city. Unable to read the news on your laptop. Unable to pick up your cell phone and text your friends and family. That’s where Duracell stepped in, setting up PowerRelief mobile charging stations near areas of destruction. Whether it’s Tuscaloosa, AL or Battery Park, NY, Duracell provides a free place for individuals to charge their electronics, use computers with internet access, and watch live TV news coverage. After a natural disaster, roads are littered with nails, glass, and sharp wooden shards. Whether it’s your car or an emergency truck making its way down the street, avoiding a flat tire is nearly impossible. BFGoodrich Tires offered assistance, setting up an emergency repair station for individuals and emergency vehicles whose tires were punctured driving through areas of destruction. For these brands to offer assistance in times of need simply makes sense. These aid stations fit organically with each brand and are undeniably beneficial for the victims whose lives have been directly impacted by the storm. Not only that, but they are infinitely valuable for a brand’s reputation. Whether it’s media coverage of the generosity or the brand’s ability to help a few thousand people – and along with it create new brand Zealots – the benefits are through the roof. Just look at me. Duracell, Tide, and BFGoodrich stick out so vividly in my memory, I’m telling you about them right now. If that’s not Zealotry in-action, I don’t know what is. Hats off to the brands who are offering their aid during times of need. Do you have stories of other brands who have offered assistance? I’d love to hear what you have to say. Ready to invent how “online engagement” can jump start brand marketing programs? You have the passion … we have your new job! We are passionate about creating zealots for our clients. We are looking for a zealot of social media. Lots of people understand websites, social media sites, blogs, pay per click – the online execution. We are looking for one unique person. That understands how to execute online, but is not simply a specialist in the nuts and bolts of social media and online placement. Instead you get this is a whole new frontier – this idea of engagement instead of impressions. A zealot for the possibilities of bringing brands to life through online engagement. A zealot that can creatively deliver marketing strategy through social media. You know the fundamentals. You are creative. You have a streak of entrepreneur in you. We offer you a chance to grow. To explore. To invent something different. Social media, even online communications are too new to simply settle for “what is being done.” Got ideas on what online engagement should be? Then, we want to talk to you. Customer engagement is key to referral – strengthening the relationship between client and their “zealots”; among and through zealots (to their contacts); building new zealots through engagement and targeting like-minded prospects. Social media is a natural touchpoint of Zealotry Marketing. By its very nature, it is a media of engagement, conversations and referral. Thus, it is a key area of distinction and growth for Guest Relations Marketing. By creating a distinct discipline and specialty, we are merely improving and enhancing the value of Zealotry Marketing. 3+ years of dedicated digital experience at an interactive, advertising, communications, public relations, and/or marketing agency. Experience working on social media marketing programs, and word-of-mouth campaigns. Experience building a brand using social tools like Facebook, Twitter, YouTube, etc. Basic knowledge of web site design and development. Knowledge of SEO, and search engine marketing fundamentals. Knowledge of paid online process, resources and options. Ability to think, plan and execute resourcefully, across multiple tasks. Knowledge of online tracking and monitoring tools and ability to search and find key content within social media. For the right individual we are willing to discuss specific incentives related to this role. A love for all things Apple. Steve Jobs was the Thomas Edison of our time; what he accomplished in his lifetime impacted every single person in the entire world. He once said he wanted to strive to be remembered for changing the world. I’d say he achieved just that in the most profound way possible. It’s a sad day for Steve Jobs and the Apple family. On the other hand, this man offered a tremendous legacy that can inspire all businesses. The power of radically looking at the competition and the category and truly offering something different. Of understanding the mindset, not simply the demographics, of customers. But for Guest Relations, we take away from Jobs the understanding that it takes both a distinctive product and a superior customer experience. At every touchpoint. Someone said it well in an article I read last night: Jobs had the creativity and insight not simply to dream up products that never existed, but he also could visualize how to package, promote and deliver them to consumers in a simple, yet integrated manner. Steve Jobs was simply the best Zealotry Marketer of our time. Apple products have become an essential part of my life from the day I was introduced to them. I remember learning at a young age on an early Apple desktop, and am now connected at the hip via laptop, iPad, iPhone and iPod – all of which keep me up to date and connected to the world. The innovation that Steve Jobs developed has inspired a legacy of amazing things to come for the future. Steve Jobs made Apple a company that completely changed the way the world communicates. His passion for innovating technology made the world a better place. There’s no question that the world just lost one of the true greats. Steve Jobs envisioned products that simply make sense. They fit seamlessly into our lives. They’re easy to use. They’re beautiful. Jobs set the standard for what all companies should strive to achieve: he was loyal to his high brand standards and Apple customers were loyal to him. Jobs once said, “Be a yardstick of quality. Some people aren’t used to an environment where excellence is expected.” Let’s all strive to be that yardstick. You probably know that there are more than 500 million active Facebook users – Did you know that 40% are now accessing Facebook via their mobile phone? Or, the +35 year olds are now more than 30% of all users? And, talk about referral …. 57% of people talk to people more online than in real life. Smoothie King Atlanta Signs On. Smoothie King Atlanta has brought on Guest Relations to execute an online program for their north Georgia stores. Guest Relations will be utilizing Facebook and foursquare to increase followers and create store level traffic. Smoothie King’s product mix and locations are perfect for the online world and today’s mobile lifestyle. We’ve already gotten started with a fun promotion for Smoothie King Atlanta! 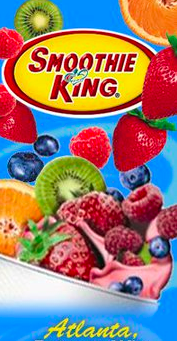 Everyone who likes our page on Facebook can enter to win a year of Smoothie King Atlanta! Enter by May 8, 2011 for your chance to win! Click here to enter! Innovation is Key to Fueling Zealots. Zealots of your brand will readily embrace new offerings and share with others. In fact, they often are a great source for discovering new innovation points. They understand your brand, they experience your products/services frequently and they care about your brand. Product development should always include your brand’s zealots. Consider that staid upper Midwest company – 3M. (stated tongue in cheek).